A manhole cover seen in Hannover, Germany. I know the coat of arms of Hannover which is in the center of the emblem but what about the two lions and the helmet? Do you know the meaning of this coat of arms? 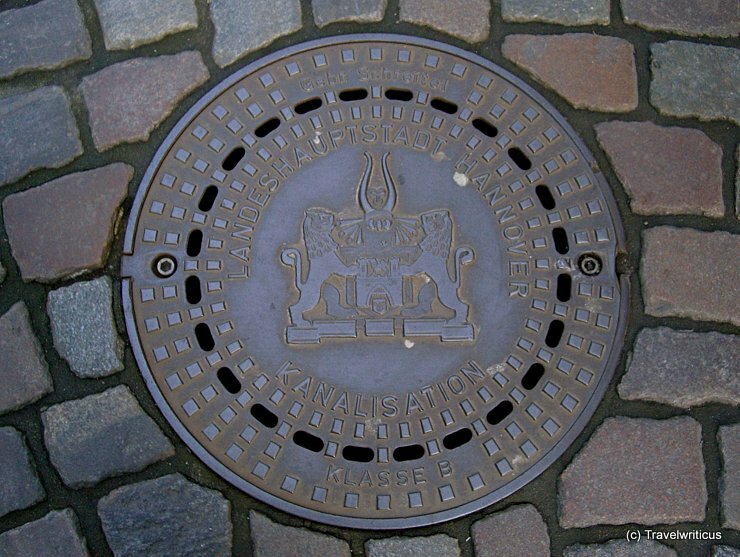 This entry was posted in Coat of arms, Manhole Covers and tagged Germany, Hanover, Lower Saxony by Travelwriticus. Bookmark the permalink.